What is the difference between the Polished band and Matt band? 1. The matt one has butterfly closure. 2. The polished one is narrower and lighter, which is more suitable for women. The matt one is a little bit wider and heavier, which is more suitable for men. 1.Compatible with fitness tracker Fitbit Alta. 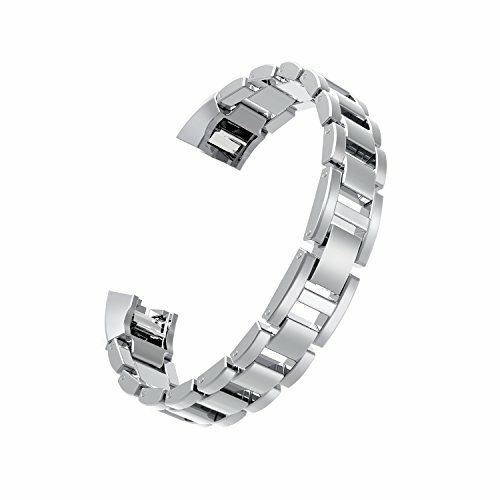 Polished for 125 - 198 mm / 5 - 7.8 inch wrist. Matt for 160 - 230 mm / 6.3 - 9 inch wrist. Compatible with Fitbit Alta & Fitbit Alta. fits 125 - 198 mm / 5 - 7.8 inch wrist. If you have any questions about this product by Wearlizer, contact us by completing and submitting the form below. If you are looking for a specif part number, please include it with your message.